Working together since 2004 and known for emotional, patiently crafted tracks such as ‘Murder Weapon’, ‘The Puppet Show’, ‘Sedna’ and ‘Nobody Seems To Care’, 16 Bit Lolitas have revealed a new work of musical art. 16 Bit Lolitas have found a deeper and darker path to surf through than we’re used to. They’ll be showcasing their transition at the next PRISMA get-together in Amsterdam’s favourite electronica temple Studio 80 on June 22nd together with Worakls (FR), Hubert Kirchner and Sivesgaard (DK) amongst others. 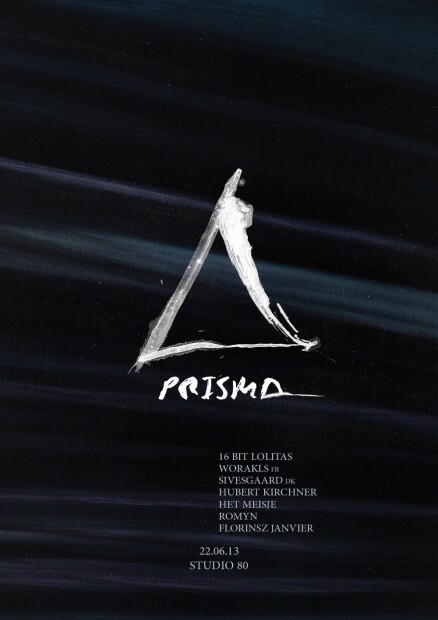 I asked them some questions in advance, and they made a new exclusive free downloadable track in anticipation of PRISMA. How has 2013 treated you so far guys? According to you, who is 16 Bit Lolitas and what do they sound like? Your hometown is Amsterdam, you’ve played in many of the better clubs around the Dam like Paradiso and Melkweg over the past 8 years or so. Yet, if I’m not mistaken, your next gig will be a ‘first’ for you, at PRISMA in Studio 80 right? Your second home seems to be on the other side of the Atlantic Ocean, at Praia Brava in Brazil. Not only is your name often closely linked to the club and label ‘Warung’, but you even released a double album under the name ‘Warung Brazil 2012′. How did this love story arise? You produced an enormous amount of deep and melodic tracks over the past years, but back in the day your sound seemed to be more ‘progressive-ish’. How do you feel your music evolved, and what is your favourite style to play or produce? Do you prefer to spend time in the studio or on tour? What are your plans for the second half of 2013 and the near future? Where are you taking 16 Bit Lolitas next?